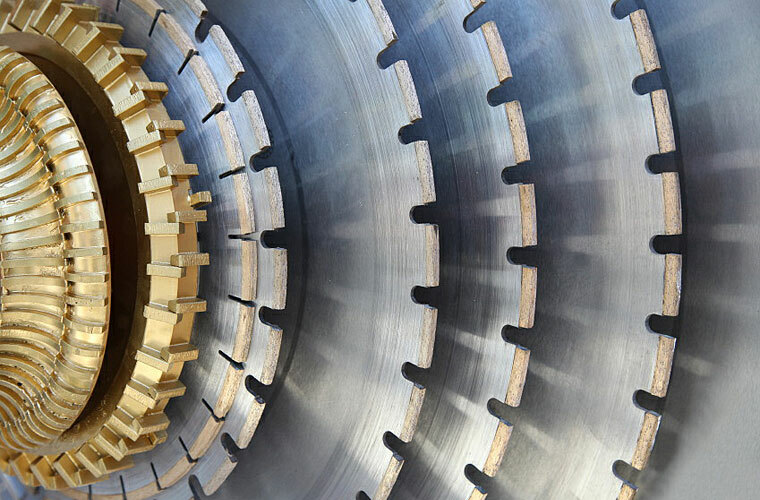 Manufacturers of metal bonded diamond blades, resin bonded diamond blades and cBN metal bonded blades choose Advanced Abrasives as their preferred supplier. We produce a variety of diamond and cubic boron nitride superabrasives ranging from mesh size down to micron size. Our MDP, RDP diamond and our cBNP cubic boron nitride powder products are available with coatings of electroless copper or nickel for improved particle retention in most bond systems and improved heat dissipation for increased tool life. Click here for more information on our Superabrasive powders.